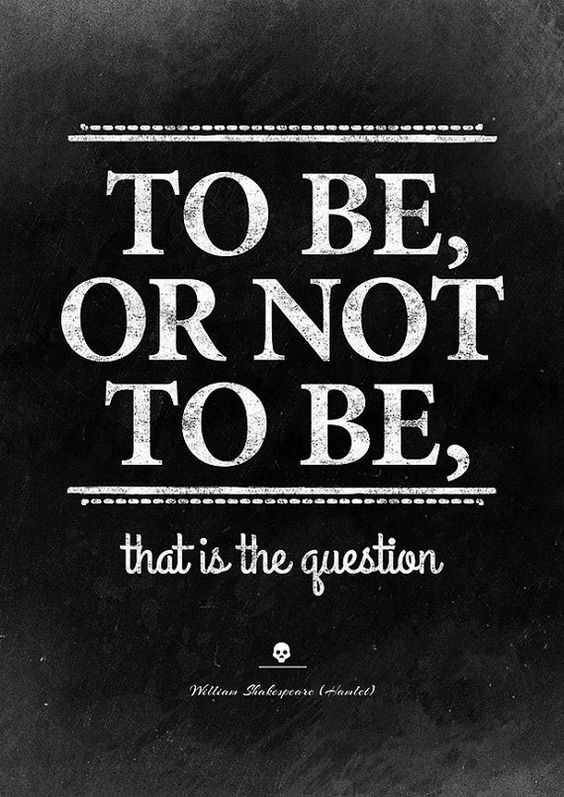 “To be or not to be, that is the question.” The most famous quote I have ever come across originated from William Shakespeare’s play, Hamlet. The unfortunate Danish prince meets his end with almost everyone around him dead, including his parents, uncle, and lover. I knew how the play ended before reading the book but was still curious why Hamlet and the other characters had to face such a tragic death. Hamlet is the Prince of Denmark, but a terribly unfortunate one. His mind becomes very unstable after meeting the ghost of his father and being told that his uncle, Claudius murdered his father. Due to his determination to seek revenge plus the misunderstandings between the characters, almost everyone is dead at the end of the play. I was baffled when I found out how the play ended. What was Shakespeare, the great playwright trying to talk about? Why would he kill everyone when a happy ending with a triumphant new “king” Hamlet could be possible? Hamlet does not tell us exactly what’s right and what’s wrong. Hamlet constantly thinks about killing Claudius, but never fully makes up his mind until the very end of the play. His action tells us how a person struggles to decide between a social concept(like seeking revenge for the family) and morality. Some critics think Hamlet must have had schizophrenia or depression, but I believe he was just sensitive and easily hurt by harsh situations. The fact that his mother married Claudius hurt him, and Hamlet’s inner conflict of deciding whether to make revenge or not put him in a state of madness. Goethe said Hamlet was more of an “expensive vase that should only hold beautiful flowers” than a prince. Hamlet was too vulnerable and moral to handle the things that happened to him. So how does Shakespeare provide a solution for poor Hamlet? He did not leave Hamlet to be a helpless prince but makes him take action – killing Claudius. In his perspective, Hamlet did not commit murder as an individual, but as a tool of God. At first, I could not accept Shakespeare’s justification of murder, but I found out that European societies in the Middle Ages thought that killing a person for revenge was okay, although the murderer was punished. Hamlet was born at least 400 years ago, and he was a sensitive person who just happened to be expected to kill his uncle while his conscience said no. His inner conflict finally led to a successful revenge on his uncle but also letting himself get killed at the same time. Hamlet is definitely not a "happily-ever-after" fairy tale. I believe it best describes how a person feels on the inside when there is a collision of two important values. The play also shows how truthful Hamlet is, compared to Laertes, who did not feel guilty for trying to make revenge. Hamlet is often considered as the epitome of an indecisive person. I guess the dilemma came from the collision between his honesty and the desire to find justice for his father. It was the prince's fate.